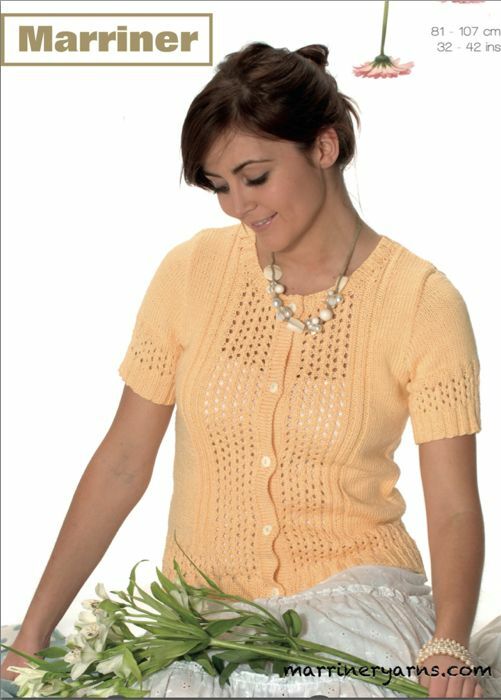 This cardigan features a lacy eyelet design to the front and sleeves, ideal for those warmer days. Knitted in Double knit yarn. 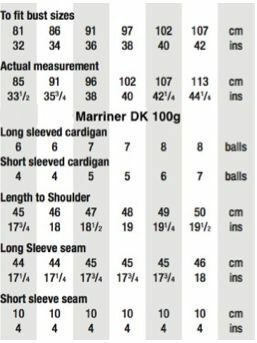 Hooks required 2 - 31/4mm (UK 10 - USA 3) and 2 - 4mm (UK 8 - USA 6) knitting needles. 5 Buttons.